We will be promoting this new initiative the food will not only be healthy and tasty but also good value for money hopefully this will meet everyone’s lunchtime budget. I hope you are all keeping your New Year resolutions? Party time is now over and it is time to get down NOW to losing that Christmas excess! There is never an easier time to lose weight, than in January. Everywhere you look everyone is talking about diet, fitness and wellbeing. The latest ‘miracle’ diets are being tried by all. Statistically we follow these kinds of diets for 2 weeks before boredom kicks in then the weight you have lost slowly creeps back on! Over the holiday, I have been studying all the different types of diet that are out at the moment and it is, as always, utterly contradictory. Experts have agreed that the BEST diet after numerous researches of all diets is a plant based (vegetarian) low sugar diet without any artificial additives or preservatives. We all know (experts included) that the best and healthiest way to lose weight is 1-2lbs per week but when your scales are showing that the pounds have piled on, it’s normal to be impatient and want it off quick!! 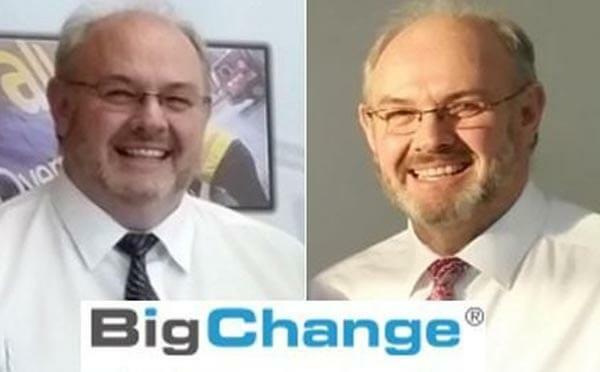 With this in mind I have launched BigChange weight management in collaboration with Dale’s Diet ‘Skinny Plan’ it is designed for a quick boost to your weight loss efforts. It is still eating food, not crazy liquid drinks, but it is more hard-core than the normal eating plan and does have great results. The problem one has when they do ‘Quick fixes’ is that as soon as you cut out food groups your brain registers you’re not having them. Once you return to suddenly eating them again, your body stores them in a panic and they are then stored as fat. This is why you need to reintroduce slowly, slowly. It is not just calories we need to look at, it is protein, saturated fat and of course our new enemy those hidden sugars and even sweeteners! Sugar has now been proved to be as addictive and habit forming as nicotine or any drug. By following Dales plan, the hard work is done for you and you can eat with confidence that you are eating healthily. The myth that you can’t eat certain foods (i.e. carbohydrates) when dieting is rubbish although you should reduce them. Dale has lots of clients who have lost amazing amounts of weight by eating everything. I just cut the gluten, the wheat, saturated fat and sugar. Also one of the most important areas….the portion size. The hardest part of dieting is the planning, shopping and preparation of meals. Dale has done all that for you all you need to do is buy some salad/extra veg if required and any meat/fish if you wish to add. One problem that many of us have is alcohol try to have a clean January if you can but if not certainly reduce your intake. Why not swap onto a spirit such as gin & tonic or vodka. It is less calories but also lasts longer wine is a definite unknown quantity and that’s where the problem lies. It is much easier to say no to an extra spirit than a quick refill of wine. Exercise….the dreaded word….I don’t have time…I hear you say? We can all fit some exercise into our day; again we just have to think smart. No time for the gym? Why not run up and down your stairs 5 times in a row think about how much that is over a week and it gets the heart pumping, (The most important muscle in your body that most of us ignore!) Or take a lunchtime walk around the beautiful Colton Country Estate! Park your car a bit further away from your destination than usual so you have to walk a little bit further each day. Try some sit ups before bed. Instead of getting in the car to go somewhere nearby think….no….I will walk. Walking briskly really is so beneficial. You have to find an exercise you enjoy so what about a Zumba class or any dancing class, make it fun and you will stick to it. As I always say little small changes make a BigChange all add up and over time make a massive difference. DON’T PUT IT OFF START TODAY AND YOU WILL SEE A NEW YOU. You will be happier, healthier and have a completely different outlook on life once you have achieved your goal.